The two-time defending NL champion Los Angeles Dodgers were not resting on their laurels as the 2018 MLB trade deadline approached this past July. Having already added star infielder Manny Machado from the Baltimore Orioles, the Dodgers were in on acquiring former NL MVP Bryce Harper in a trade with the Washington Nationals. According to Jorge Castillo of the Los Angeles Times, the Dodgers offered up a package centering around veteran Yasiel Puig for Harper. “The Dodgers offered Puig in a trade, according to a person with knowledge of the situation, but the two sides could not strike a deal,” Castillo reported. 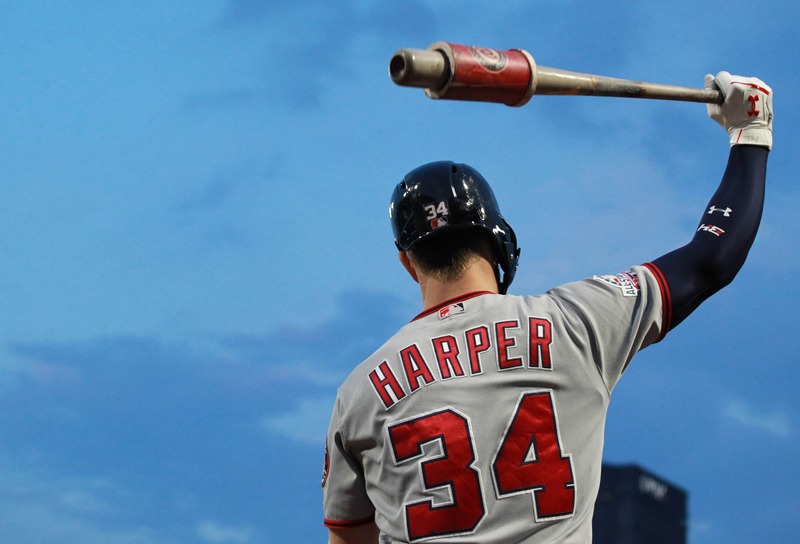 Los Angeles ultimately claimed Harper off waivers in August in hopes of being able to strike a deal with Washington. That never came to fruition. This is interesting in that Los Angeles has a high-ticket free agent in the form of the above-mentioned Manny Machado. Could the team look to potentially use that money to bring Harper on board? Remember, star young shortstop Corey Seager is expected to be ready for spring training after missing all but 26 games to injury this past season. Notably, Harper was said to have turned down a $300-plus million contract offer from Washington late in the season. It now seems more than likely that his contract will be between $350-$400 million. The Dodgers are one of a few teams that can afford to take on such a large figure.